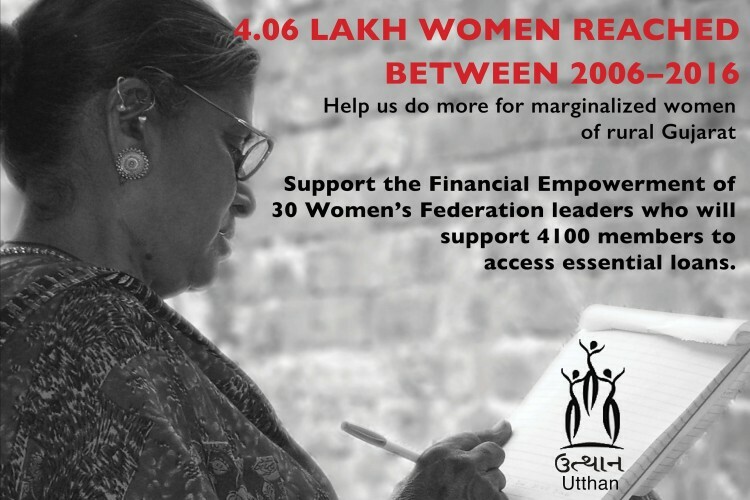 Through the Fundraiser- Support Financial Empowerment of Women in rural Gujarat, Utthan aims to support 30 leaders of 2 Women's Federations from Bhavnagar and Amreli districts to be better prepared in Financial Management skills and accounting systems. This will provide them the capacity to help their 4100 members to join a Gujarat State level Women's Credit Cooperative. Having experience in micro credit, this linkage will provide them access to larger resource pool to meet essential needs for loans for livelihood, sanitation, education and health. Please make a tax- exempt donation to Utthan this festive season. Help meet the Challenge of raising a minimum of Rs.50,000 by 15th August 2017. Utthan can then use Impact Guru’s crowdfunding platform and services for a whole month for no charges at all! Ensure that we can continue helping our community! Consider telling your friends and family about our work by sharing this Fundraiser! "The best way to find yourself, is to lose yourself in the service of others" ~ Mahatma Gandhi"
Your share could be as good as a donation for Utthan! Not everyone can afford to take care of their loved ones. Utthan's life can only be saved by donations made by kind people like you.